Direct gazes upward to this gorgeous pendant. Crafted with an artistic floral theme in mind, it captures attention as it sends radiant light that reflects from delicate white glass and chrome accents. 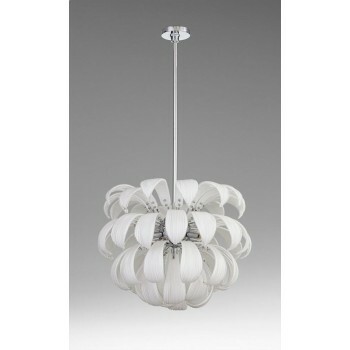 This seven-light chrome and white glass pendant is a perfect solution.